** Out of Stock ** Click here for substitute item. This 2pc set features a natural glaze stoneware with dark green hand painted rim. Each set includes a 22oz. 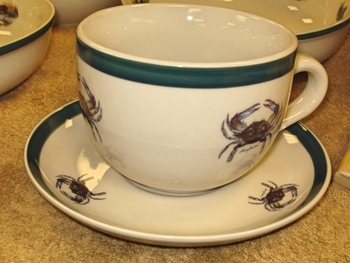 deep cup with saucer. Original Artwork of Crab by Dann Jacobus.